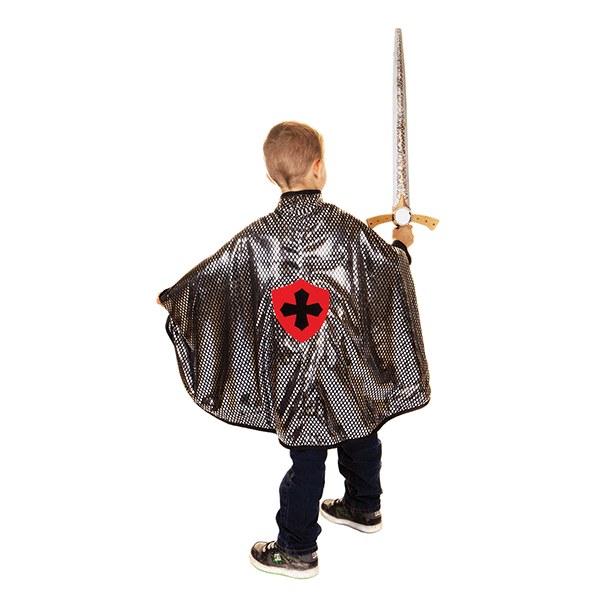 Shipping Dimensions: 12" x 9" x 1.8"
Whether you are fighting dragons or being the dragon, this reversible cape offers plenty of enchanted fun for everyone. You can pick from two characters with this liquid knit, shiny green side for the dragon in you, and a shiny silver shield emblem on the other side for the knight in you. 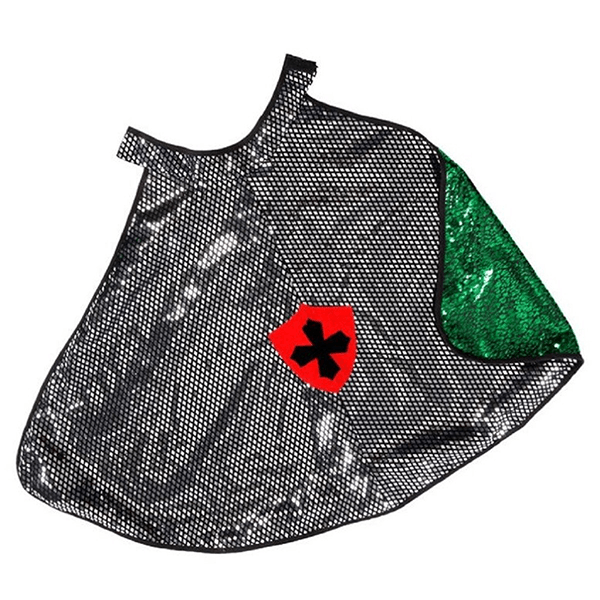 If You Liked Great Pretenders Reversible Dragon Knight Green & Silver Cape (Size 4-6), See More Related Products Below!